The EU is leading the way on the development of governance frameworks for the oversight of AI. 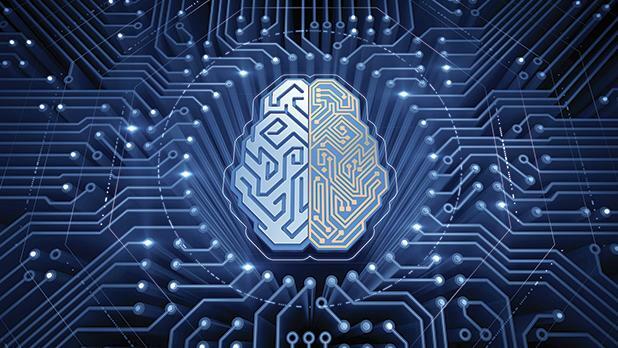 Last month, Malta held its first-ever AI in Business Summit. One of the key speakers, Matthew Fenech, explains what was discussed and how it could benefit SMEs. Artificial intelligence (AI) is everywhere. Barely a day goes by without some technological breakthrough being announced in this field. Far from being about the Terminator and R2-D2, if you have an Amazon Echo device at home, or if you have a spam filter on your e-mail, then you’re already using AI. So, what is this technology? There’s no single definition, but it’s a good start to think of AI as bringing computer science, engineering and related disciplines together to build machines that are capable of solving problems. Back in the 1970s and 80s, the dominant form of AI was logic-based —so-called ‘good old-fashioned AI’ — but the majority of the current excitement around AI is focused on machine-learning techniques such as deep-learning and neural networks. These rely on complex, statistical methods to recognise patterns in data, learn from these patterns, and subsequently make predictions. And it’s the vast quantities of digital data that we’re generating that are behind the new possibilities of AI these days. Each and every one of us is now creating about 1.7 megabytes of new information every second, meaning that the total amount of digital data in existence will grow to around 44 zettabytes, or 44,000,000,000,000 gigabytes, by 2020. More than 90 per cent of the data in the world today has been created in the last four years alone. It’s not just digital growth – it’s a data explosion. The tech giants we’re all familiar with – Facebook, Amazon, Netflix, and Google (FANG) – have all built their business models on AI. This implementation of AI at the very heart of what these companies do has led to incredible growth; the FANGs are now collectively valued at around €2 trillion. But perhaps even that seems too far away for most of us to contemplate. What can Maltese businesses learn from the experience of companies like Google and Facebook? 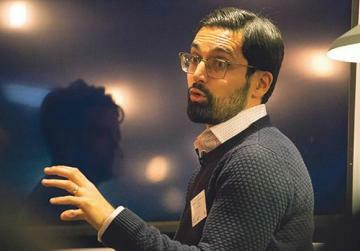 That’s the question the organisers of the AI in Business Malta Summit, held last month at the MFCC, Ta’ Qali, set out to answer. The summit hosted business leaders from across all sectors of the Maltese economy, and heard from world experts in the field. It kicked off with a presentation from Irakli Beridze, head of the United Nations UNICRI Centre for Artificial Intelligence and Robotics at the Hague. He provided a global overview of the state of play with AI, outlining how businesses and governments alike are increasingly investing in AI. These investments are aimed at revolutionising fields such as healthcare, transportation, agriculture, communications, the financial and legal systems, and many others by enhancing efficiency, optimizing resource allocation, reducing costs and creating new revenue opportunities. He also discussed the threats that AI could pose, such as job displacement due to AI-enabled automation, new forms of crime and security concerns, and the developments of autonomous weapons. Next up was Charlotte Stix, policy officer, Leverhulme Centre for the Future of Intelligence at the University of Cambridge, and an advisor on European AI Policy to Element AI, a major AI developer. She explored the European approach towards AI, indicating how businesses in Malta could capitalise on this approach. For example, the EU is leading the way on the development of governance frameworks for the oversight of AI, which constitute an opportunity for standardisation and the creation of a level playing field. Charlotte also discussed the potential for Digital Innovation Hubs, currently being promoted by the European Commission to facilitate knowledge transfer across the EU, supporting SMEs with the adoption of digital technologies. Finally, I rounded off the presentations by focusing in on exactly how AI could help SMEs. Improved pattern detection, for example, can help business gain new, unprecedented insights from their various data streams. When coupled with their automating ability, these technologies can help businesses optimise their use of human and non-human resources, thus reducing costs and increasing productivity. In fact, many small businesses all around the world are already using AI solutions in this way. For example, a major area of concern for small businesses is cybersecurity. Smaller companies are more vulnerable to hackers than large companies are because so many of them do not have adequate checks in place. Thankfully, off-the-shelf AI solutions are available to monitor network activity in real-time, such that cyberthreats are quickly recognised and dealt with. Similarly, machine learning tools have been developed to identify fraud and other malicious activities. Moreover, AI offers the potential for increased personalisation of marketing and sales strategies, which have been shown to improve sales success and increase customer retention. Indeed, AI is increasingly being deployed to interface with customers. Many SMEs are now relying on chatbots to handle their initial interactions with potential clients on their website and social media channels. Similarly, email marketing enhanced by AI has huge return on investment, estimated at about €30 for every euro spent. Of course, along with these fantastic benefits, there are potential pitfalls. AI needs to be used ethically and transparently so that customers can continue to trust businesses and their technology. And there are huge implications to the storage and processing of the large amounts of data that these applications rely on, as regulations like the GDPR make clear. Based on the success of this initial summit, as evidenced by the feedback received from attendees, there are now plans to organise a second, larger event later this year. This will feature multiple parallel streams, focusing specifically on AI in various types of business, such as financial services, manufacturing, logistics, and healthcare, among others. For more information, follow the AI in Business Malta Summit on Facebook. Dr Matthew Fenech is an AI policy consultant who has advised the UK and Welsh Parliaments, as well as global organisations like Shell, Ricoh, HSBC, Vodafone and the Development Bank of Japan.